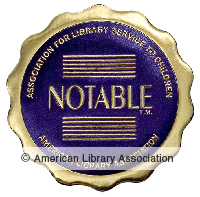 The Notable Children’s Books meetings are open to ALSC members and other ALA Midwinter attendees. All meetings will be held at the Hyatt Regency Seattle, 402 Chiliwack (408). Chairperson Maeve Visser Knoth and her entire committee welcome your attendance. The Adventures of a Girl Called Bicycle. By Christina Uss. Holiday House/Margaret Ferguson, $16.99 (9780823440078). Amal Unbound. By Aisha Saeed. Nancy Paulsen Books, $17.99 (9780399544682). Ana Maria Reyes Does NOT Live in A Castle. By Hilda Eunice Burgos. Lee & Low Books/Tu Books, $18.95 (9781620143629). Aru Shah and the End of Time. By Roshani Chokshi. Disney/Rick Riordan Presents, $16.99 (9781368012355). The Assassination of Brangwain Spurge. By M.T. Anderson and Eugene Yelchin. Illus. by Eugene Yelchin. Candlewick Press, $24.99 (9780763698225). Be Prepared. By Vera Brosgol. Illus. by Vera Brosgol. Color by Alec Longstreth. Roaring Brook Press/First Second, $22.99 (9781626724440). Bob. By Wendy Mass and Rebecca Stead. Illus. by Nicholas Gannon. Feiwel and Friends, $16.99 (9781250166623). The Cardboard Kingdom. By Chad Sell. Illus. by the author. Penguin Random House/Knopf, $20.99 (9781524719371). Children of Blood and Bone. By Tomi Adeyemi. Henry Holt and Co., $18.99 (9781250170972). City of Islands. By Kali Wallace. HarperCollins/Katherine Tegen, $16.99 (9780062499813). The Cruel Prince. By Holly Black. Little, Brown Books for Young Readers, $18.99 (9780316310277). Dragons in a Bag. By Zetta Elliott. Illus. by Geneva B. Random House Books for Young Readers, $16.99 (9781524770457). Drum Roll, Please. By Lisa Jenn Bigelow. HarperCollins/Harper, $16.99 (9780062791146). Finding Langston. By Lesa Cline-Ransome. Holiday House, $16.99 (9780823439607). Front Desk. By Kelly Yang. Scholastic/Arthur A. Levine, $16.99 (9781984846099). Gone to Drift. By Diana McCaulay. HarperCollins, $16.99 (9780062672964). Harbor Me. By Jacqueline Woodson. Nancy Paulsen Books, $17.99 (9780399252525). Illegal. By Eoin Colfer and Andrew Donkin. Illus. by Giovanni Rigano. Sourcebooks Jabberwocky, $19.99 (9781492665823). It Wasn’t Me. By Dana Alison Levy. Delacorte Books for Young Readers, $16.99 (9781524766436). Jazz Owls: A Novel of the Zoot Suit Riots. By Margarita Engle. Illus. by Rudy Gutierrez. Simon & Schuster/Atheneum Books for Young Readers, $17.99 (9781534409439). Knights vs. Dinosaurs. By Matt Phelan. Illus. by the author. HarperCollins/Greenwillow, $16.99 (9780062686237). Lifeboat 12. By Susan Hood. Simon & Schuster Books for Young Readers, $17.99 (9781481468831). Louisiana’s Way Home. By Kate DiCamillo. Candlewick Press, $16.99 (9780763694630). Marcus Vega Doesn’t Speak Spanish. By Pablo Cartaya. Penguin Random House/Viking, $16.99 (9781101997260). Merci Suárez Changes Gears. Meg Medina. Candlewick Press, $16.99 (9780763690496). New Shoes. Sara Varon. Illus. by the author. First Second, $17.99 (9781596439207). Nowhere Boy. By Katherine Marsh. Roaring Brook Press, $16.99 (9781250307576). The Orphan Band of Springdale. Anne Nesbet. Candlewick Press, $18.99 (9780763688042). Otherwood. By Pete Hautman. Candlewick Press, (9780763690717). Out of Left Field. By Ellen Klages. Penguin Random House/Viking, $16.99 (9780425288597). The Poet X. By Elizabeth Acevedo. HarperTeen, $17.99 (9780062662804). Rebound. By Kwame Alexander. Illus. by Dawud Anyabwile. HMH Books for Young Readers, $16.99 (9780544868137). Saving Winslow. By Sharon Creech. HarperCollins/Harper, $16.99 (9780062570703). The Season of Styx Malone. By Kekla Magoon. Wendy Lamb Books, $16.99 (9781524715953). Secret Sisters of the Salty Sea. By Lynne Rae Perkins. HarperCollins/Greenwillow, $16.99 (9780062499660). Small Spaces. By Katherine Arden. Penguin Random House/G.P. Putnam’s, $16.99 (9780525515029). Spell and Spindle. By Michelle Schusterman. Illus. by Kathrin Honesta. Random House Books for Young Readers, $16.99 (9780399550706). A Stitch in Time. By Daphne Kalmar. Feiwel & Friends/Macmillan, $16.99 (9781250154989). Sweep: The Story of a Girl and Her Monster. By Jonathan Auxier. Abrams/Amulet, $18.99 (9781419731402). Tiger vs. Nightmare. Emily Tetri. First Second, $17.99 (9781626725355). Tight. By Torrey Maldonado. Nancy Paulsen Books, $16.99 (9781524740559). Two Roads. By Joseph Bruchac. Penguin Random House/Dial Books for Young Readers, $16.99 (9780735228863). The 5 O’Clock Band. By Troy “Trombone Shorty” Andrews. Illus. by Bryan Collier. Abrams/Abrams Books for Young Readers, $17.99 (9781419728365). Apollo 8: The Mission That Changed Everything. By Martin W. Sandler. Candlewick Press, $24.99 (9780763694890). Attucks! Oscar Robertson and the Basketball Team that Awakened a City. By Phillip Hoose. Farrar Straus Giroux, $19.99 (9780374306120). Back from the Brink: Saving Animals from Extinction. By Nancy F. Castaldo. HMH Books for Young Readers, $17.99 (9780544953437). Blacklisted! : Hollywood, the Cold War, and the First Amendment. By Larry Dane Brimner. Boyds Mills Press/Calkins Creek, $17.95 (9781620916032). Bonnie and Clyde: The Making of a Legend. By Karen Blumenthal. Penguin Random House/Viking, $19.99 (9780451471222). Crash: The Great Depression and the Fall and Rise of America. By Marc Favreau. Little, Brown Books for Young Readers, $18.99 (9780316545860). Curiosity: The Story of a Mars Rover. By Markus Motum. Candlewick Press, $22.99 (9780763695040). (Don’t) Call Me Crazy: 33 Voices Start the Conversation about Mental Health. Edited by Kelly Jensen. Algonquin Young Readers, $16.95 (9781616207816). The Eye That Never Sleeps: How Detective Pinkerton Saved President Lincoln. By Marissa Moss. Illus. by Jeremy Holmes. Abrams, $17.99 (9781419730641). The Faithful Spy: Dietrich Bonhoeffer and the Plot to Kill Hitler. By John Hendrix. Abrams/Amulet, $24.99 (9781419728389). Game Changers: The Story of Venus and Serena Williams. By Lesa Cline-Ransome. Illus. by James Ransome. Simon & Schuster/Paula Wiseman Books, $17.99 (9781481476843). Grand Theft Horse. By G. Neri. Illus. by Corban Wilkin. Lee & Low Books/Tu Books, $19.95 (9781620148556). Hammering for Freedom. By Rita Lorraine Hubbard. Illus. by John Holyfield. Lee & Low Books, $17.95 (9781600609695). Hey, Kiddo: How I Lost My Mother, Found My Father, and Dealt with Family Addiction. By Jarret J. Krosoczka. Illus. by the author. Scholastic/Graphix, $24.99 (9780545902472). A History of Pictures for Children: From Cave Paintings to Computer Drawings. By David Hockney and Martin Gayford. Illus. by Rose Blake. Abrams/Abrams Books for Young Readers, $24.99 (9781419732119). The Hyena Scientist. By Sy Montgomery. Illus. by Nic Bishop. HMH Books for Young Readers, $18.99 (9780544635111). March Forward Girl: From Young Warrior to the Little Rock Nine. By Melba Pattillo Beals. Illus. by Frank Morrison. HMH Books for Young Readers, $16.99 (9781328882127). No Small Potatoes: Junius G. Groves and His Kingdom in Kansas. By Tonya Bolden. Illus. by Don Tate. Penguin Random House/Knopf, $17.99 (9780385752763). Not My Idea: A Book About Whiteness. By Anastasia Higginbotham. Illus. by the author. Dottir Press, $18.95 (9781948340007). Otis and Will Discover the Deep: The Record-Setting Dive of the Bathysphere. By Barb Rosenstock. Illus. by Katherine Roy. Little, Brown Books for Young Readers, $18.99 (9780316393829). Pass Go and Collect $200: The Real Story of How Monopoly Was Invented. By Tanya Lee Stone. Illus. by Steve Salerno. Henry Holt and Co., $18.99 (9781627791687). So Tall Within: Sojourner Truth’s Long Walk to Freedom. By Gary D. Schmidt. Illus. by Daniel Minter. Roaring Brook Press, $18.99 (9781626728721). Something Rotten: A Fresh Look at Roadkill. By Heather L. Montgomery. Illus. by Kevin O’Malley. Bloomsbury Children’s Books, $16.99 (9781681199009). Spooked! : How a Radio Broadcast and The War of the Worlds Sparked the 1938 Invasion of America. By Gail Jarrow. Boyds Mills Press/Calkins Creek, $18.95 (9781629797762). The Superpower Field Guide: Beavers. By Rachel Poliquin. Illus. by Nicholas John Frith. HMH Books for Young Readers, $18.99 (9780544949874). Thirty Minutes Over Oregon: A Japanese Pilot’s World War II Story. By Marc Tyler Nobleman. Illus. by Melissa Iwai. HMH Books for Young Readers, $17.99 (9780544430761). Unwanted: The Stories of the Syrian Refugees. By Don Brown. Illus. by the author. HMH Books for Young Readers, $18.99 (9781328810151). Very, Very, Very Dreadful: The Influenza Pandemic of 1918. By Albert Marrin. Penguin Random House/Knopf, $21.99 (9781101931462). Water Land: Land and Water Forms Around the World. By Christy Hale. Illus. by the author. Roaring Brook Press/Neal Porter Books, $17.99 (9781250152442). We Rise, We Resist, We Raise Our Voices. Edited by Wade Hudson and Cheryl Willis Hudson. Crown Books for Young Readers, $18.99 (9780525580423). What a Wonderful Word. By Nicola Edwards. Illus. by Luisa Uribe. EDC Publishing/Kane Miller Books, $14.99 (9781610677226). What Do You Do with a Voice Like That? The Story of Extraordinary Congresswoman Barbara Jordan. By Chris Barton. Illus. by Ekua Holmes. Simon & Schuster/Beach Lane Books $17.99 (9781481465618). Adrian Simcox Does NOT Have a Horse. By Marcy Campbell. Illus. by Corinna Luyken. Penguin Random House/Dial Books for Young Readers, $17.99 (9780735230378). All the Animals Where I Live. By Philip C. Stead. Illus. by the author. Roaring Brook Press, $18.99 (9781626726567). All-of-a-Kind Family Hanukkah. By Emily Jenkins. Illus. by Paul O. Zelinsky. Penguin Random House/Schwartz & Wade, $17.99 (9780399554193). Alma and How She Got Her Name. By Juana Martinez-Neal. Illus. by the author. Candlewick Press, $15.99 (9780763693558). A Big Mooncake for Little Star. By Grace Lin. Little, Brown Books for Young Readers, $17.99 (9780316404488). Black Bird Yellow Sun. By Steve Light. Illus. by the author. Candlewick Press, $7.99 (9780763690670). Blue. Laura Vaccaro Seeger. Illus. by the author. Roaring Brook Press/Neal Porter Books, $17.99 (9781626720664). Bowwow Powwow/Bagosenjige-niimi’idim. By Brenda J. Child and Gordon Jourdain. Illus. by Jonathan Thunder. Minnesota Historical Society Press, $16.95 (9781681340777). Carmela Full of Wishes. By Matt de la Peña. Illus. by Christian Robinson. Penguin Random House/G.P. Putnam’s, $17.99 (9780399549045). Dad’s Camera. By Ross Watkins. Illus. by Liz Anelli. Candlewick Press, $16.99 (9781536201383). The Day You Begin. By Jacqueline Woodson. Illus. by Rafael López. Nancy Paulsen Books, $18.99 (9780399246531). Don’t Touch My Hair! By Sharee Miller. Little, Brown Books for Young Readers, $17.99 (9780316562584). Drawn Together. By Minh Lê. Illus. by Dan Santat. Disney-Hyperion, $17.99 (9781484767603). Dreamers. By Yuyi Morales. Holiday House/Neal Porter Books, $18.99 (9780823440559). Ducks Away! By Mem Fox. Illus. by Judy Horacek. Scholastic, $16.99 (9781338185669). Goldfish on Vacation. By Sally Lloyd-Jones. Illus. by Leo Espinosa. Penguin Random House/Schwartz & Wade, $17.99 (9780385386111). Good Dog. By Cori Doerrfeld. Illus. by the author. HarperCollins, $16.99 (9780062662866). Good Rosie. By Kate DiCamillo. Illus. by Harry Bliss. Candlewick Press, $16.99 (9780763689797). A House That Once Was. By Julie Fogliano. Illus. by Lane Smith. Roaring Brook Press, $18.99 (9781626723146). How Raven Got His Crooked Nose: An Alaskan Dena’ ina Fable. By Barbara J. Atwater and Ethan J. Atwater. Illus. by Mindy Dwyer. Alaska Northwest Books/Graphic Arts Books, $16.99 (9781513260952). I Walk with Vanessa: A Story about a Simple Act of Kindness. By Kerascoët. Illus. by the authors. Random House/Schwartz & Wade, $17.99 (9781524769550). Imagine. By Juan Felipe Herrera. Illus. by Lauren Castillo. Candlewick Press, $16.99 (9780763690526). Imagine! By Raúl Colón. Illus. by the author. Simon & Schuster/Paula Wiseman, $17.99 (9781481462730). Jerome By Heart. By Thomas Scotto. Illus. by Olivier Tallec. Translated by Claudia Zoe Bedrick and Karin Snelson. Enchanted Lion, $16.95 (9781592702503). Lena’s Shoes Are Nervous: A First-Day-of- School Dilemma. By Keith Calabrese. Illus. by Juana Medina. Simon & Schuster/Atheneum Books for Young Readers, $17.99 (9781534408944). Memphis, Martin and the Mountain Top: The Sanitation Strike of 1968. By Alice Faye Duncan. Illus. by R. Gregory Christie. Boyds Mills Press/Calkins Creek, $17.95 (9781629797182). Night Job. By Karen Hesse. Illus. by G. Brian Karas. Candlewick Press, $16.99 (9780763662387). A Parade of Elephants. By Kevin Henkes. Illus. by the author. HarperCollins/Greenwillow, $18.99 (9780062668271). The Patchwork Bike. By Maxine Beneba Clarke. Illus. by Van Thanh Rudd. Candlewick Press, $15.99 (9781536200317). Pie is for Sharing. By Stephanie Parsley Ledyard. Illus. by Jason Chin. Roaring Brook Press, $17.99 (9781626725621). Pip and Pup. By Eugene Yelchin. Illus. by the author. Henry Holt and Co., $16.99 (9781627793940). Saturday is Swimming Day. By Hyewon Yum. Illus. by the author. Candlewick Press, $16.99 (9780763691172). The Stuff of Stars. By Marion Dane Bauer. Illus. by Ekua Holmes. Candlewick Press, $17.99 (9780763678838). Thank You, Omu! By Oge Mora. Illus. by the author. Little, Brown Books for Young Readers, $18.99 (9780316431248). This Is the Nest That Robin Built. By Denise Fleming. Illus. by the author. Simon & Schuster/Beach Lane Books, $17.99 (9781481430838). Two Problems for Sophia. By Jim Averbeck. Illus. by Yasmeen Ismail. Simon & Schuster/Margaret McElderry Books, $17.99 (9781481477888). Undocumented: A Worker’s Fight. By Duncan Tonatiuh. Illus. by the author. Abrams/Abrams Comic Arts, $19.99 (9781419728549). Up the Mountain Path. By Marianne Dubuc. Illus. by the author. Princeton Architectural Press, $17.95 (9781616897239). The Wall in the Middle of the Book. By Jon Agee. Illus. by the author. Penguin Random House/Dial Books for Young Readers, $17.99 (9780525555452). We Are Brothers. By Yves Nadon. Illus. by Jean Claverie. Creative Editions, $18.99 (9781568462929). We Are Grateful: Otsaliheliga. By Traci Sorell. Illus. by Frane Lessac. Charlesbridge, $17.99 (9781580897223). We Don’t Eat Our Classmates. By Ryan T. Higgins. Illus. by the author. Disney-Hyperion, $17.99 (9781368003551). You and Me. By Rebecca Kai Dotlich. Illus. by Susan Reagan. Creative Editions, $8.99 (9781568463216). I Am Loved. By Nikki Giovanni. Illus. by Ashley Bryan. Simon & Schuster/Atheneum Books for Young Readers, $17.99 (9781534404922). In the Past: From Trilobites to Dinosaurs to Mammoths in More Than 500 Million Years. By David Elliott. Illus. by Matthew Trueman. Candlewick Press, $17.99 (9780763660734). 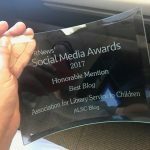 This post addresses the following ALSC Core Competency: Knowledge, Curation, and Management of Materials. With more than 60 books of poetry published in 2018, it is a shame only 2 are considered for discussion. Dear Mr. Hopkins, I reply in my role as the committee chair. Thank you for advocating for poetry. The year is brighter than it looks here because we discussed an additional seven poetry titles during the annual conference for a total of nine. 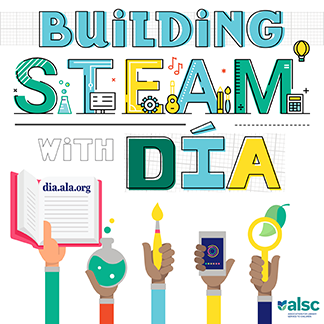 The summer discussion list is no longer available on the ALSC website, but if you are able to come to our Mid-winter meetings, the full list of books under consideration will be available. 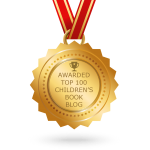 You can take a look at the complete list of titles which were discussed at the 2018 Annual Conference in this blog post from June 15, 2018: Notable Children’s Books Discussion List – #alaac18.